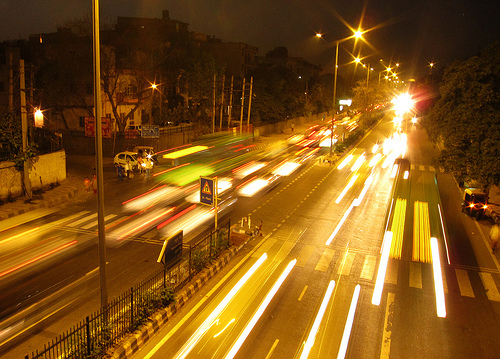 Delhi Transport Infrastructure Advisory: Slow down, don’t rush so fast. If you upset Nature, your “development” won’t last. The Honorable National Green Tribunal (NGT) today stayed the felling of over 3,000 trees in Delhi which were to be cut for giving way to an elevated corridor. The case, filed by Dr. P.C. Prasad, Aditya N. Prasad and R.L. Mahunta, is not so much about stopping ‘development’ but for ensuring adequate planning and sustainable development of Delhi city. Members of Delhi Greens were also present during the hearing to provide their inputs and ensure the prevention of ad hoc felling of trees in Delhi. The Elevated Road Project for which the trees are being cut is being undertaken by the Public Works Department, GNCTD and has already commenced work along the Vikas Puri-Meera Bagh-Mukarba Chowk of the Outer Ring Road No. 26 in West Delhi. There are a large number of trees along the said road which have been planted by residents and civic authorities over a long period of time and are a part and parcel of the area.These ‘heritage trees’ are now planned to be removed for the elevated road corridor without exploring any alternative ways of executing the project so as to include them. This is therefore another classic case of developing through the greens and is neither ethical nor sustainable. Fortunately, the NGT has taken due notice and given the issue the importance that it deserves. The ecosystem services that will be lost by the sudden cutting of 3000 trees cannot be compensated by any means. At the same time, only a slight modifications in the plan can save the felling of these trees. These modifications would not have been required if the project was initially designed in a manner to include the trees as natural heritage. It therefore remains unfortunate that the protection of the very resources that sustain us again has to come through a Court order and is not included in the planning process itself. However, that the Court order did come in a timely manner is definitely a relief and a thumbs up to the legal system in India.